Star Fence and Pavers, Inc. Comment: I have about 4 fence posts that are rotten and need replacing. There is wiring inside fence that also needs a little repair. Comment: We would like to install a wooden fence around the property to secure it for our 2 big dogs, which means it needs to be sufficiently tall and reliable. Comment: I would like to get an estimate for having fence installed for my back yard. Comment: Need 150 lineal feet of white picket fence with 2 gates. There are no obstructions. Edgewater Fence Contractors are rated 4.73 out of 5 based on 1,566 reviews of 18 pros. 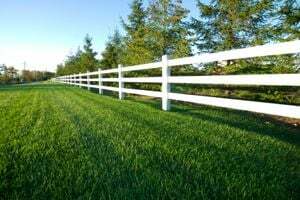 Not Looking for Fences Contractors in Edgewater, MD?